It’s always kinder – and less expensive – to prevent your cat from developing health problems than it is to treat them. And from kitty’s purrspective, it is a whole lot nicer to not get sick in the first place! And, getting your cat to the vet can be a bit of a journey, making preventative care visits stressful for everyone. That’s where CatHealthyTM comes in. At NOAH, our “CatHealthyTM Champions” have done special continuing education to learn the latest techniques to increase your cat’s comfort level with traveling to the clinic and helping them relax more once they arrive. We will work with you and your cat to prepare for each visit and set everyone up for success. For some kitties, we will dispense a complimentary, light sedative to be given before their visit. 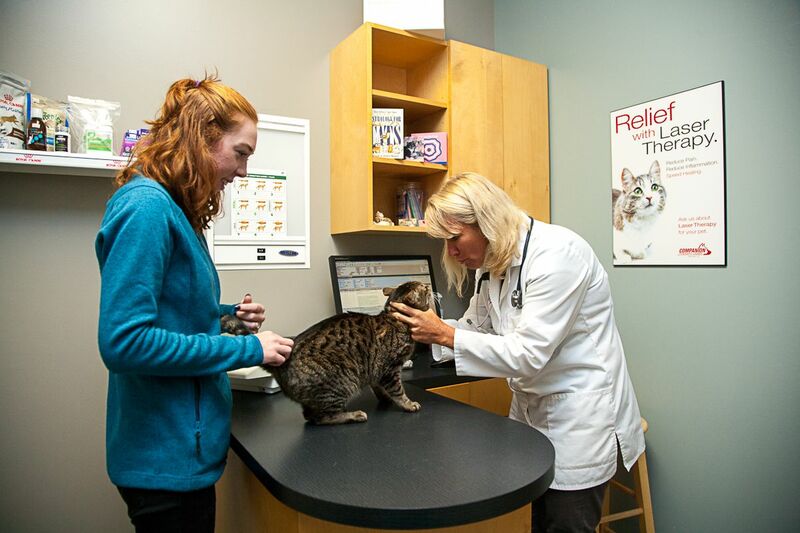 When you arrive, you will be escorted directly from reception to our “Cat Only” exam room where we have a diffuser of “feel good” pheromones going and cozy towels so your kitty feels more at home on our exam table. Our doctors are skilled at doing gentle, yet effective, physical exams. Have you noticed any changes in your cat’s behavior or temperament? We are dedicated to being a feline-friendly hospital! Please give us a call at 905-257-3700 if we can help you prepare ahead of your visit and discuss your concerns with our team. For more information and resources, click HERE to visit the CatHealthyTM website.